Home / Chicken Coops & Equipment / Coops - Yards / 2 - 5 Chickens / Chick-N-Hutch by Ware Mfg. 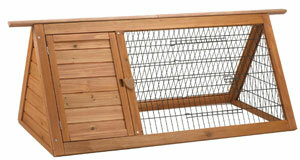 The Chicken Hutch is perfect for the smaller back yard flock (2-3 birds)! 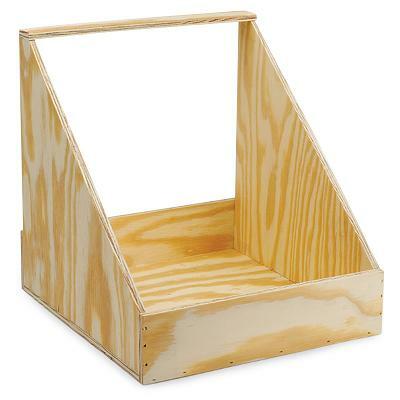 Hinged waterproof shingle roof and front panel for easy access and cleaning; arrives Ready-to-Assemble needing only a screw driver. 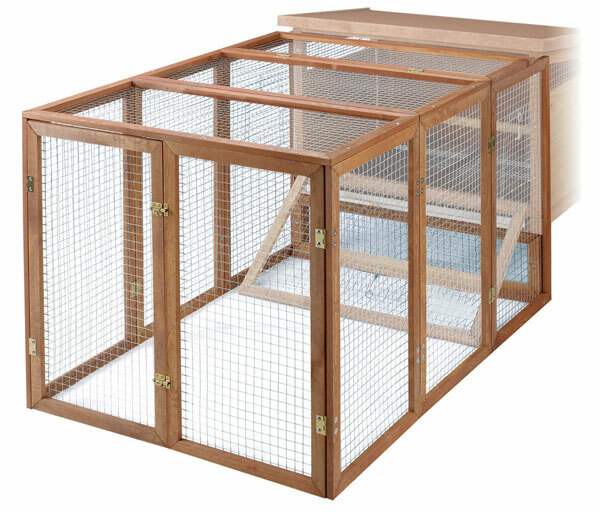 This hutch also features wind guards, roost, rear egg access door, pull pan, and coated ½ x 1 floor wire. Manufactured with the finest materials and craftsmanship, the hutch is made with exterior grade plywood with a non toxic red stain. The cage wire is 1 x 1 with a center wire door. Assembly Instructions for Chick-N-Hutch by Ware Mfg. model 01490 Click Here.